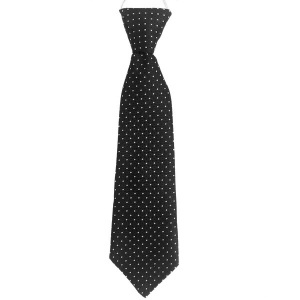 Add a dash of style and colour to your little boy's formal outfit with this black satin suit tie featuring a white dot design. Pre tied for the perfect knot every time. 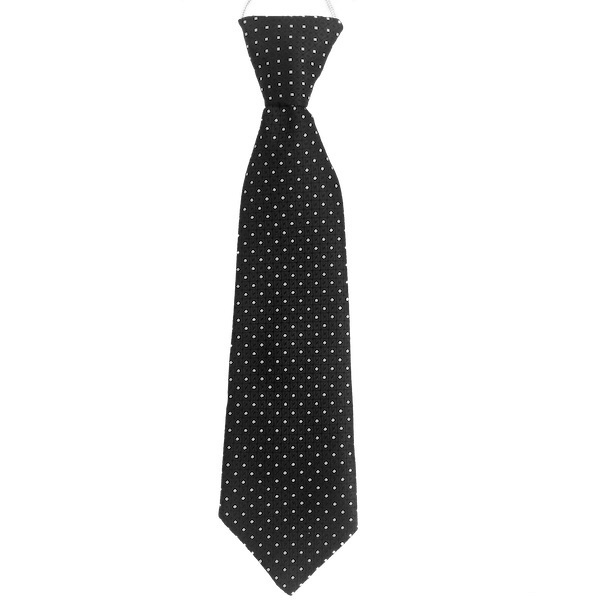 These ties have an elasticated neckband simply for ease and safety. Perfect for a formal occasion, weddings and other occasions.